﻿﻿The City of Pittsburgh and The Heinz Endowments have collaborated on﻿ a major effort to forge a new model of urban growth and development that is innovative, inclusive and sustainable. This model is based around a central, unifying framework — p4: People, Planet, Place, and Performance — and was launched at an international summit in 2015. Pittsburgh has rapidly emerged as one of several world leaders in robotics, automation and artificial intelligence, becoming potentially one of the world’s “future cities” while drawing international attention as a proving ground for technologies such as automated vehicles and advanced manufacturing. While we welcome these advances for the investments they are bringing, we are also clear-eyed about what the rapid deployment of these technologies could mean for inequality, employment, gentrification and perhaps the very nature of work in our society. Other cities in the U.S. and the world are experiencing similar changes creating an opportunity to learn. As one of the epicenters of these emerging technologies, we also have a responsibility to be an epicenter for new thinking about how cities adapt to rapid technological change while addressing social and economic inequality, environmental threats, and the built environment. Cities such as Pittsburgh that are at the center of the innovation economy have the opportunity to become not just economically successful, but also inclusive and just. 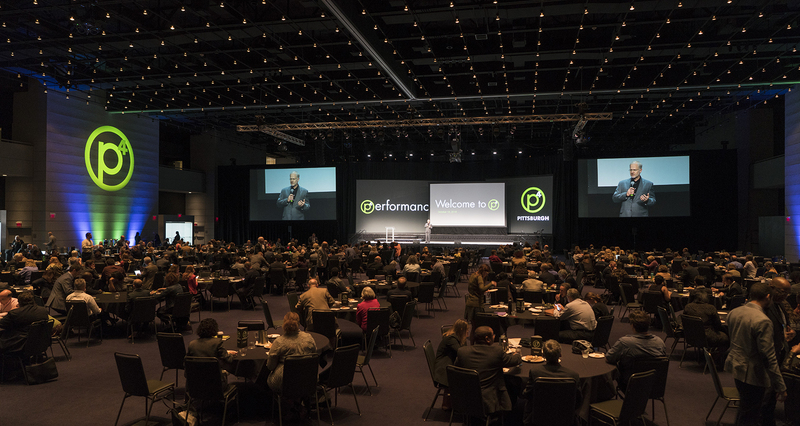 That belief lies at the heart of our p4 framework and the four essential values of “People, Planet, Place, & Performance.” Please join us for our third conference as we explore these issues and seek solutions with experts from around the world and those working right here in Pittsburgh. Artist and visual problem solver, Emily Marko, captured the 2018 p4 Pittsburgh conference. The EcoInnovation District Plan – Pittsburgh’s first City-adopted community plan - was inspired in part by values set forth in the p4 conferences, the new EcoInnovation District Zoning plan announced on February 20th includes a Performance Points System that allows flexibility for developers while ensuring that projects keep within parameters outlined by the neighborhood. Read more on the story of what this means for Uptown – and the city at large. By Grounded Solutions Network 10 messages to help frame the way you talk about inclusionary housing differently. “Capturing the Next Economy: Pittsburgh’s rise as a global innovation city” examines Pittsburgh’s unique opportunity to become a top global destination for technology-based economic activity and as a key part of Pittsburgh’s efforts to become a world-class innovation city. ONEPGH is Pittsburgh's resilience strategy to thrive in the 21st century. Read UrbanKind Institute's recommendations to create an equitable agenda for Pittsburgh. The p4 Performance Measures project is an evaluation tool to prioritize real estate development projects in the City of Pittsburgh. Equitable Development: The Path to an All-In Pittsburgh is a development strategy that ensures everyone participates in and benefits from the region's economic transformation.